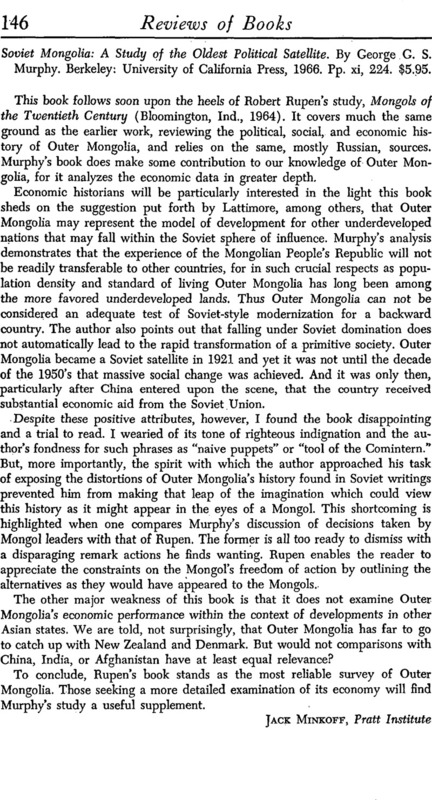 Soviet Mongolia: A Study of the Oldest Political Satellite. By George G. S. Murphy. Berkeley: University of California Press, 1966. Pp. xi, 224. $5.95.